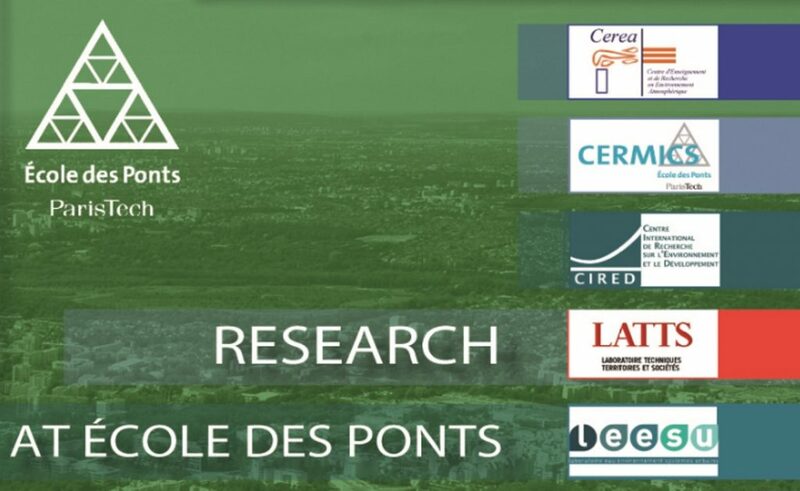 From 2012 to 2014, as a Communications Officer of the Research Department of Ecole nationale des ponts et chaussées, (school of engineering, Paris Institute of Technology member), I have promoted the activities of 11 excellence research centers. Five of them are part of the CNRS (French National Center for Scientific Research), and all are internationally reputed. These research centers oversighted by the CNRS are the CIRED (International Environment and Development), LIGM (Computer Science), LMD (Dynamic meteorology), Navier (mechanics and physics of materials, structures, and geomaterials), and the PJSE (Economics). The others laboratories are the CEREA (Air pollution), CERMICS, LATTS, LEESU, LVMT, Saint-Venant (Hydraulics). My part has been to edit internal and external publications. First, I have made an annual report of the research activities of these 11 laboratories. The purpose was to present a comprehensive documentation required for a national academic and administrative evaluation. Secondly, I have wrote synthesis and managed the publication of a brochure, to present each research center to a large audience, in French and in English. Both publications types have been edited in 2013 and 2014.